GrunBuilt recently experienced a brief taste of show business – HGTV producers for the Curb Appeal spin-off series Curb Appeal: The Block, contacted us to help create a signature remodel to one home’s exterior in Las Colinas. Together with designer John Gidding and the family-select, GrunBuilt was able to transform the front of the home making it not only inviting but also functional. Today is the big day where our team meets the film crew including John Gidding and Director Allison Tom as well as the Pace family. Deeply moved by the backstory with the Pace family and their son, we were excited to be able to make a difference in the quality of their lives. Sparing no wasted time, we hit the ground running with demolition and preliminary work. Camera crews began shooting their introductory scenes, watching us organizing construction area and working away. The concrete trucks arrived bright and early today. This allowed us to pour all the concrete foundation we needed for the new walkway. We also ran the electrical underground for the light posts and started on the carpentry work for the archways above the garage. Already, we are starting to see improvements to the curb appeal of the home to what will be a major transformation! Today, we started on the flagstone walkway and began to build light posts and the trellis. We were unable to set the posts for the trellis while waiting for the Euless City Inspector. Fortunately we used this time to review the designs and prep for the next day’s work on the trellis so that it can be completed tomorrow, as well as prep for more work on the flagstone walkway. This day started with completion of the trellis. We hung the new gutters and continued to work on the flagstone walkway. While talking with the John Gidding & Allison Tom, they pleasantly expressed their happiness that everything was going very well and that I really should consider a future in television! With a humbled reaction, I tucked the thought away for future consideration. If that wasn’t enough, an article appeared in the front page of the Fort Worth Star Telegram talking about the Curb Appeal project. Most coverage was based around the Euless family and some about the other episode based on a Rachael Ray contest winner. There’s a nice video that accompanied the article. Every day can’t always be exciting, but that usually means plenty of work gets completed – that was the case today. While the masons continued to work on the flagstone walls and walkway, John coordinated with the team about flagstone work, pulling out the lighting that will be installed tomorrow. We also reviewed the handiwork of the finished trellis and made some adjustments for the final setup. Looking to the next day, we plan to finish the carpentry, set the electric, install the bench, finish up the flagstone and start on the brick work. Lastly, a reporter from the Dallas Voice also inquired about the work done and arranged to run a lifestyle piece on GrunBuilt in their newspaper; free publicity is always a good thing. Today we connected the electrical, finished the carpentry, hung the swing and continued on the flagstone. The landscapers arrive tomorrow to begin excavating dirt, planting new plants, laying new sod and cleaning up the yard. Thankfully the film crews weren’t rolling today, which allowed us to make extensive progress on the tedious tasks that really aren’t film-worthy. All of the really transformational changes have been filmed with the exception of the landscaping. Now in the homestretch today, the mason’s filled in flagstone walkway, the painters finished painting and touching up and staining the driveway while the landscapers continued planting the shrubs and laying the rest of the sod. It’s all coming together. Day nine started by sending the Pace family to a hotel in preparation for the final reveal tomorrow. As the landscapers finished grooming the yard and rolling the sod, we did a final off-camera walk-through with John Gidding and Allison Tom. They were very pleased with the final product and excited for the final reveal tomorrow. The Pace family arrived from their stay at the hotel. With bright-eyes and smiles from ear to ear, they couldn’t be more ecstatic with the massive improvement. Boasting a new welcoming flagstone walkway and a beautiful trellis swing, the Pace family can finally use front yard. They also expressed their sincere thanks and gratitude for the sensitive efforts on making the walkway accessible for their son. With the family, neighbors, film crew, construction crew and TV host in full celebration, we had an amazing block party to finish yet another successful house that truly had curb appeal! 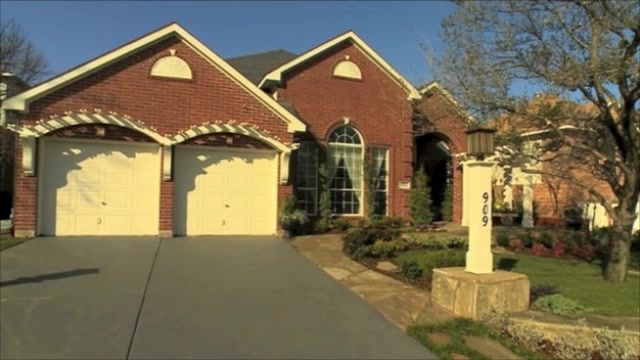 To watch this production on HGTV’s Episode of Curb Appeal visit our YouTube page.